To mow or to mow less? Green spaces embedded within the urban matrix, particularly residential yards, could mitigate negative aspects of urban development and provide pollinator habitat. Lawns represent a dominant green space, and their management consists of frequent mowing to inhibit the growth of ostensibly “weedy” species (e.g., dandelions and clover). Since widespread population declines of bees and other pollinators from habitat loss are a growing concern, these spontaneous flowers could provide pollen and nectar sources throughout the growing season. We experimentally tested whether different lawn mowing frequencies (1, 2 or 3 weeks) influenced bee abundance and diversity in 16 suburban western Massachusetts yards by increasing lawn floral resources. Lawns mowed every three weeks had as much as 2.5 times more lawn flowers than the other frequencies. Interestingly, lawns mowed every two weeks supported the highest bee abundance yet the lowest bee richness and evenness. We suggest these patterns were driven by a combination of more abundant floral resources (compared with 1-week yards), easier access to lawn flowers due to shorter grass and a more drastic impact on grass biomass and floral resources (compared with 3-week yards), and the dominance of a few generalist bees overwhelming our samples, thus driving richness and evenness. 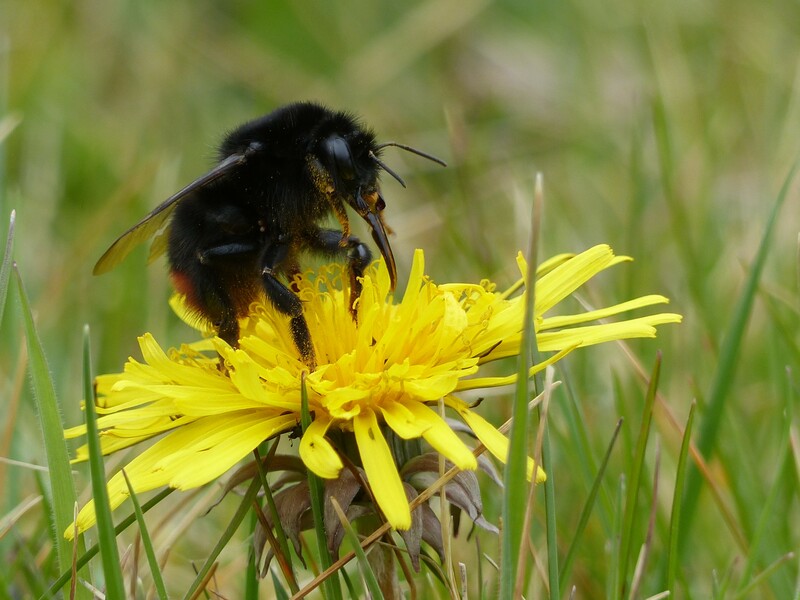 Our results highlight a “lazy lawnmower” approach to providing bee habitat. Mowing less frequently is practical, economical, and a timesaving alternative to lawn replacement or even planting pollinator gardens. Given the pervasiveness of lawns coupled with habitat loss, our findings provide immediate solutions for individual households to contribute to urban conservation. This entry was posted in News on 21/04/2018 by admin.